The Mother of All Confessions is an open invitation to a crowd-sourced piece that actively investigates the concept of maternity. The artwork and conversations will grow and morph in relation to the participants’ contributions. This interactive work will take the form of a modular “confessional” booth. Participants will engage in dialogues about the conceptions, struggles, and future of artist/mothers. The confessional structure encourages two beings to occupy a shared space; much like the way maternity requires that women share their spaces, both internally and externally. This piece will also address one of the last conceptual taboos in art: maternity. What’s YOUR story? The Mother of All Confessions is an open confessional booth for discussions surrounding maternity and parenting. Come share your story and contribute to an ongoing and developing conversation about maternity and art. Have you ever wanted to be the fly on the wall in a confessional? What if that confessional was occupied by two mother/artists? In their performative presentation Shira and Kate will present a Duo-logue, giving their audience the opportunity to join their confessional style conversation about motherhood. 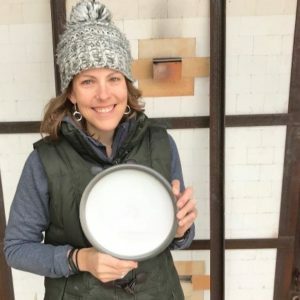 My authentic voice, Kate Fisher, runs a successful blog titled “Both Mother and Artist” . Kate will be bringing a confessional booth to the project. Confession booths are safe places in which people can unload their burdens. The step to recovery is to acknowledge and accept the burden, with compassion, without that step the next step of rising above the difficulty cannot be performed. As artists, we practice “Learning a material’s nature” Thus, listening to the material is the first part of creating. This step accepts the material as it is,and tries to work with the characteristics of a material. Even if we want to change the characteristics of a material, we need to know it’s natural inclination. The confession booth serves as “learning the material” . Mothers can come to the confession booth and confess a messy house, or having difficulty with a child. Registration required. drb@bridgescreate.com. 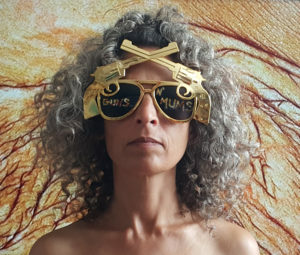 A practicing, multidisciplinary Research-thinker-Artist-Speaker who has been ARTiculating Motherhood/Mothering/MotherValue & Worth (care work) in the socio-political-economic and artistic context, for nearly two decades. She is the Director of internationally award winning woman-adventure documentary Film “Two States of Mind” (2002) about women’s voices regarding the Israeli Palestinian conflict and UN resolution 1325. 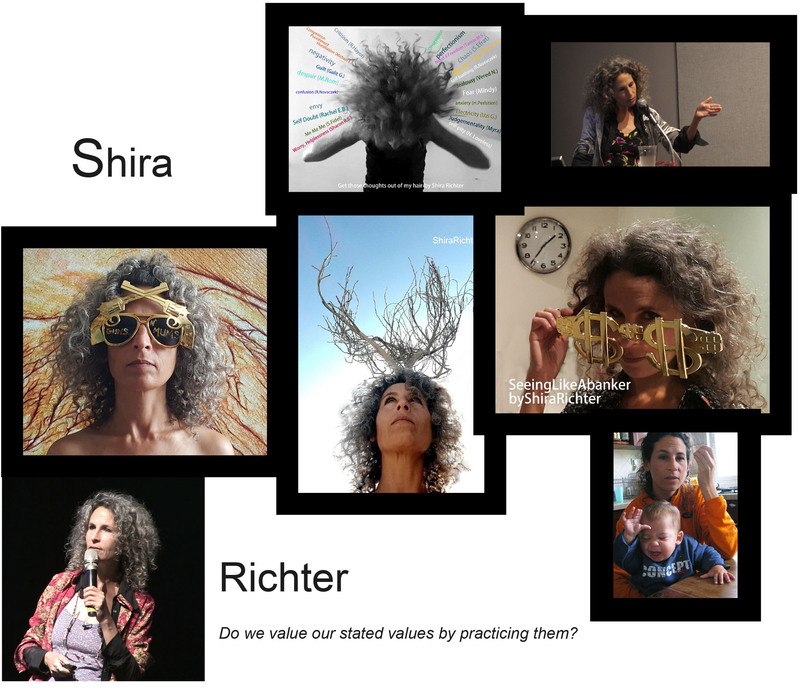 Seeking more communication with unlikely audiences made her develop traveling Visual Performance Lectures that connect cultures, languages, image, text and context, and are time/place and Shira specific. For instance “Hot Potato called Mama“, about the erasure of mothers- performed at the Dallas Museum of Art with collaborative art project The Motherload. “Our Enemies realize our power before we do” about women’s coveted power- performed for The Mothervoices 1st conference (Holland), “Do we value our Values” about the gap between values and actions, and “Being a woman who loves men and hates War”, about a feminist wife and mother to/of men in war territory Israel- were performed for The Women and Money project in Minniapolis. Richter also curated a Video-text column for The Mothervoices project (The Netherlands). A long time feminist mothernest activist, Richter is the initiator and creator of the first facebook page in Israel to call for inclusion of Gender studies in the formal Educational system and the first facebook page in Israel to question educational system practices regarding homework. She also curates, organizes and facilitates panels, teaches, motivates and advises. Motherhood in a war zone. My name is Shira Miriam Richter. Each name has a deep meaning for me. “Shira” in Hebrew, means “The song of God.” “Miriam” has several meanings: Biblical Miriam was a prophetess, a woman in a patriarchal era with ideas which challenged the status quo. She does not accept reality as the final answer, she challenges, initiates, leads, she opposes cruelty and power dynamics. She is a dancer, a drummer, an artist, a midwife, an activist who saved her own baby brother from death, and then made sure he became of royal status, and she also stood up to her own personal patriarchs- her father and brother. Like most opinionated women in the bible, she was also punished for wanting a piece of the ‘power pie’. The name Miriam was given to me because it belongs to my paternal grandmother, whom I never met, whom I know very little about. This means her value was unacknowledged. “Richter” is the family name from my father’s side of the family, which means – judge, or justice. I love my name because it embodies art, creativity, spirituality, women’s activism, and justice – several themes that represent who I am: A feminist artivist who specializes in the status of women and mothers in the socio-political-economic context and sphere. I am an artist researcher.